What is the cost to a woman’s health from working in a high pressure job that doesn’t inspire her anymore? This was the question that Sally Bray had posed to herself after teaching in the public school system for 12 years, the final nine years at high intensity academically selective schools. Could the stress of running a business in Australian adventure tours be better? The challenge of teaching was still there. New classes of fresh faces every year were children who had their own dreams, talents, interests and problems. But the spark had expired in Sally’s passion. The daily grind of planning lessons, assessing student achievement and reporting it to an ever increasing extent was becoming less of an excitement, to more of a drag. When Sally started, the work was difficult and perfecting teaching skills was a hard slog. Yet even in those early years her absences due to sickness were few. As the job became a chore for her, Sally’s days off sick progressively grew higher and higher. Sally had had an interest in operating an Australian adventure tour company for many years. A passion fuelled by travelling widely throughout Australia and around the world, matured into a plan, was cultured by the completion of a TAFE course, and finally put into action when Sally took a year off from teaching to trial life as a tour guide. That first year was tough. Sally discovered that her dream of being a tour guide was just one small part of running a tour company. The demands of administration, marketing and compliance make up a far larger part of a tour company than actually guiding the tours. She discovered that success in the tour industry is slow to come and involves a lot of networking, promotion and investment of time and money. Despite these obstacles Sally’s outlook on life improved. Her physical and mental well being improved. Her income plummeted, but her confidence and enjoyment of life soared. Visits to the Aussie bush, where Sally’s Adventure Tours Australia ventured, were rare to begin with but the opportunity to get out into the country were invigorating. Meeting new people from around the world and showing them around the bush is a joy for Sally and makes all the other tasks worthwhile. Running your own business may not be the challenge that enhances the life of everyone, but for Sally swapping the fast lane of teaching for the rural lane of Australian adventure tours was a great move for her health and well being. 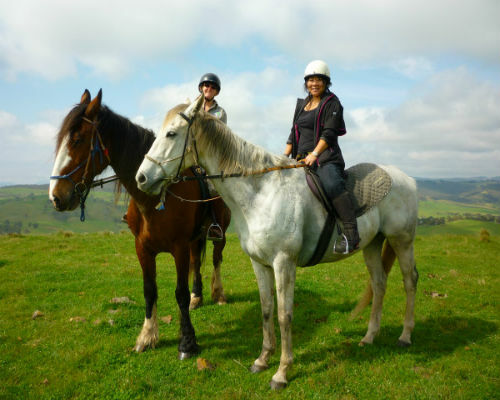 Sally’s adventure tours operate weekly from Sydney and include farmstays, Mudgee food and wine, caves tours, horse riding, Blue Mountains activities, and generally exploring the Outback of New South Wales.